Dustin Johnson finally put together four solid rounds, winning the U.S. Open at Oakmont, his first major championship. The win also means Johnson can make a strong case for a spot in golf’s “Big 3,” taking Rory McIlroy’s spot alongside Jordan Spieth and Jason Day. 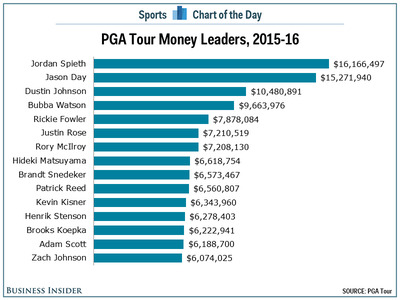 Since the start of the 2015 season, Johnson has five top-10 finishes in the six majors, including three top-5s. Meanwhile, since winning the final two majors of the 2014 season, McIlroy has struggled to find consistency, with three top-10 finishes at the majors, just one top-5, and failing to make the cut at this week’s U.S. Open. There is also the money. 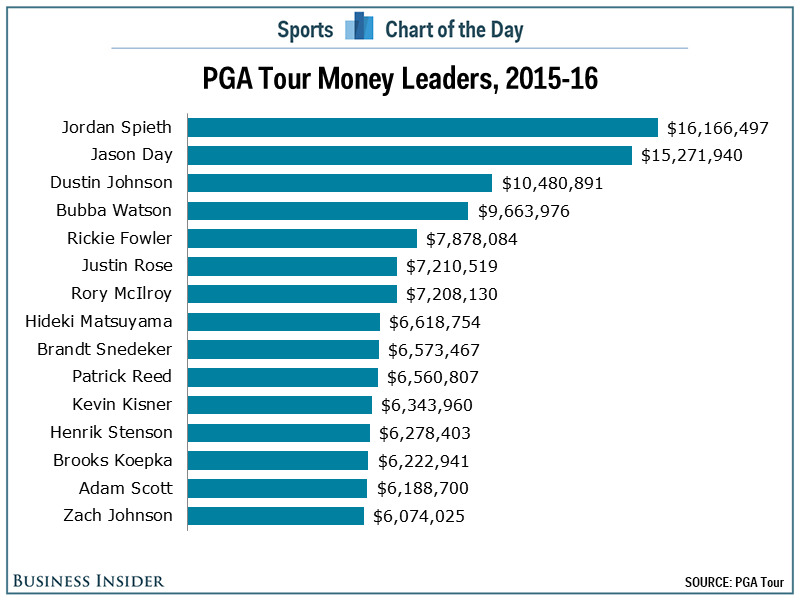 Johnson now ranks third among golfers on the PGA Tour money list since the start of the 2015 season, trailing just Jordan Spieth and Jason Day. McIlroy is seventh, trailing Bubba Watson, Rickie Fowler, and Justin Rose.